A carer from north east Wales has spoken of how an arts project has helped her cope with loneliness. Rita Newman, a carer for her husband who lives with dementia, has been attending Arts from the Armchair workshops since 2016. Rita, who has been lived in Mold for over forty years, said: “I feel absolutely dreadful sometimes and my role at home can be mentally draining. “When you are caring for someone with dementia, you don’t have time to do all the things you normally do. I’m a painter but I haven’t painted for years. “Coming to the workshops is such a solace and it’s as if a big burden is lifted from my shoulders. 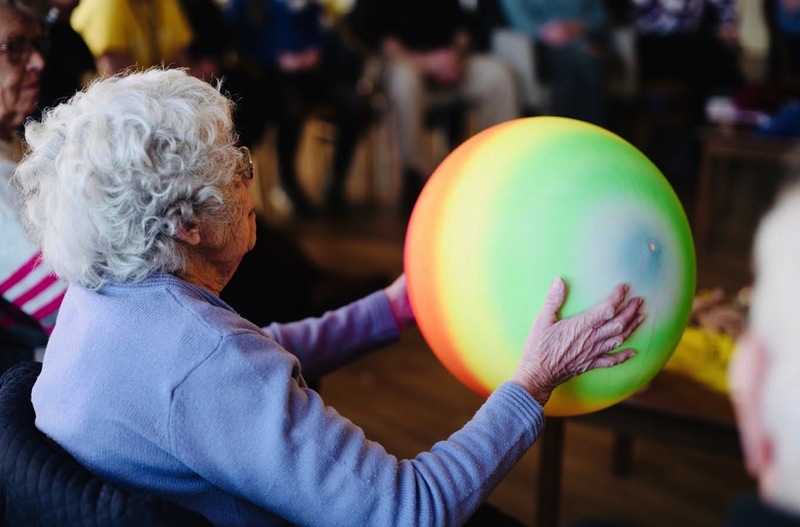 Research undertaken by Betsi Cadwaladr University Health Board reveals that taking part in creative activities such as singing, painting and story writing can promote health and wellbeing and improve the quality of life of those living with dementia and their carers’. 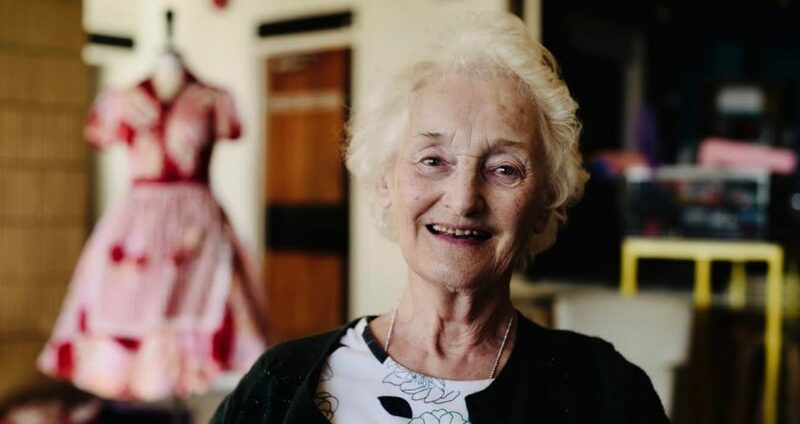 “Thanks to the workshops, we get to work closely with the staff at Theatr Clwyd and we’ve made costumes, painted sets and visited the sound room where they take care of the audio for plays,” Rita continued. “We’ve been shown all the secrets and it’s wonderful. Having a part to play in a real theatre production was a dream come true. “I started acting when I was eight but my parents wouldn’t let me pursue it as a career. To come here and be immersed in every aspect of the theatre is incredible. 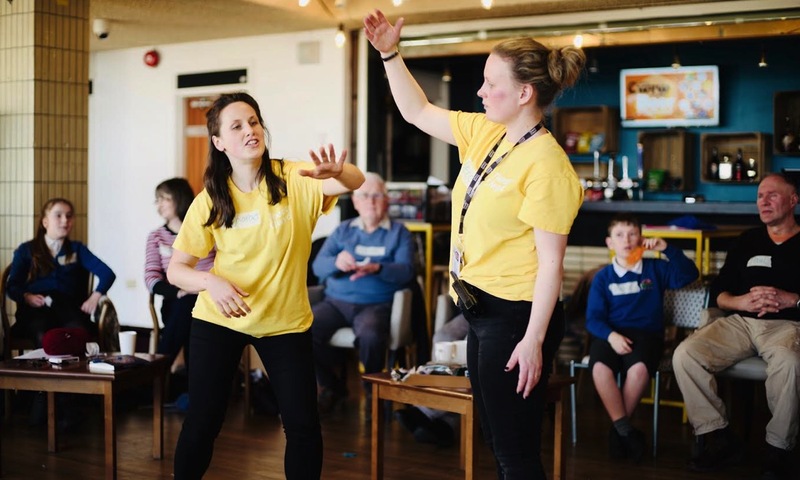 “The idea was to develop a project where creative and health professionals would collaborate to design the perfect intervention project; one which would be inspiring, positive and engaging and create a sense of community for those taking part.